This weekend has been all about the Gruffalo! 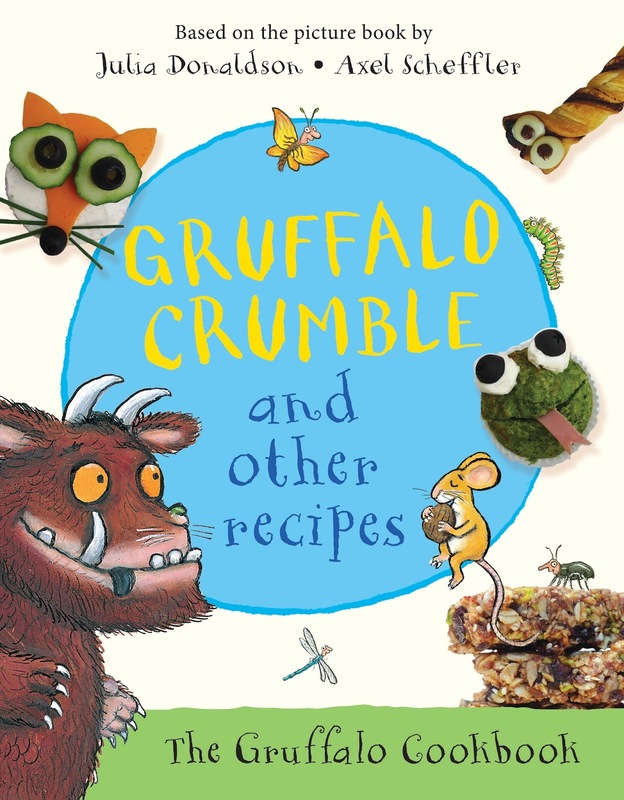 Holly and I have really enjoyed spending our weekend cooking delightful creations from Gruffalo Crumble and Other Recipes, a new kids cookery book based on the characters and illustrations of the classic children's book by Julia Donaldson and Axel Scheffler. We enjoyed buying the ingredients for our menu and we spent the afternoon together in the kitchen. 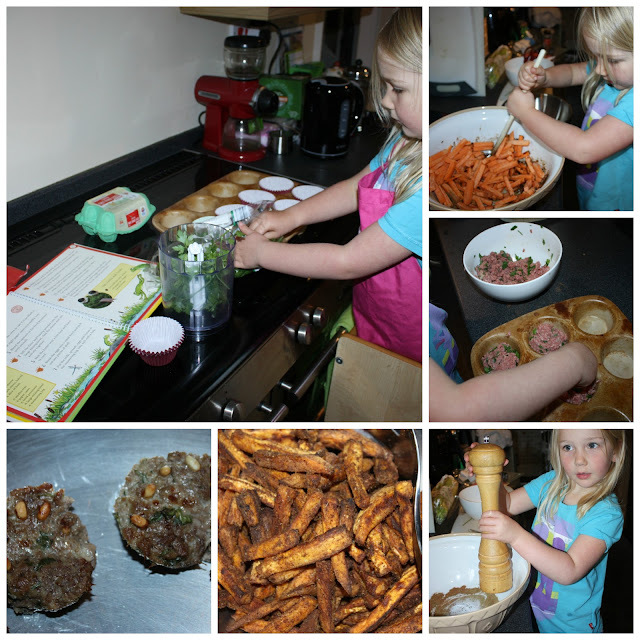 Holly particularly enjoyed mixing up a big bowl of sweet potato fries with spices to make our roasted fox. Holly can't yet read the recipes herself but was keen to use the pictures in the book as a guide for our creations. The girls tried lots of different foods that they wouldn't normally touch (cream cheese, sweet potato, olives, spinach) and the meal was a hit. Of course, Holly had to dress the part for dinner. On Sunday we went for a long walk looking for blackberries so that we could make our own Gruffalo crumble for pudding. It was a very popular pudding - no wonder mouse likes it. Next weekend Holly is eager for us to make Fox sandwiches and Owl Ice Cream. This is a fabulous cookbook that is easy to follow and includes tips for how to make the recipes more accessible for small people e.g. use of scissors instead of a knife for chopping parsley. Its a book of foodie inspiration for small people and is packed full of ideas for a Gruffalo themed meal or even a party.